I co-founded Backpack while attending school at the University of Oklahoma. I was lucky enough to meet a talented designer, Max Steitle, and developer, Forest Plasencia, while working at the university as a product designer. We addressed a problem in the higher education system, built an app to solve this issue, and launched it to 25+ universities across the country. It’s hard to find others with similar interests. There is an obvious problem surrounding the “new student” social scene at colleges across the country. Once incoming freshmen get to college, it’s hard to find others with similar interests. Maybe they join clubs or find people within their major, but what if those clubs don’t exist? What if you’re interested in things outside of your major? People want to make friends on campus, but they don’t know how to go about it. After working together for a couple years and hearing this problem over and over again from user research, we decided to do something about it. 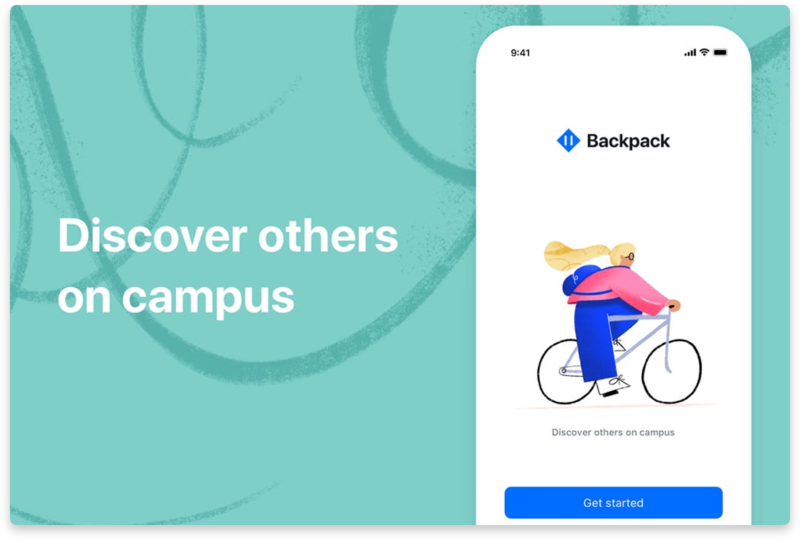 We received a $10,000 grant from the University of Oklahoma and built out a fully-functional app that allowed students to connect with others on campus. We launched the app in 25+ universities and got hundreds of downloads within the first day of launching it. People were creating groups, meeting classmates, and discovering new topics of interest. The only problem was, people weren’t coming back. In an attempt to solve this problem, I have re-designed the app to focus on what matters most: communication. By having messaging instead of feed as the core feature from here on out, our assumption is that people will be more likely to interact with each other. From our initial launch, we found that people were creating groups based around classes and clubs at their school. This shows us that there’s a need for some sort of education-centric communication channel that encompasses things like clubs, class groups, and even finding people around campus with similar interests. Students currently use apps like GroupMe, Messenger, Slack, or even Snapchat for discussions related to these topics. From our research with students, mixing these social graphs can feel awkward. We intend to provide a place for students to talk about classes, interests, and different ways to progress their education and career. I believe there should always be intention behind a redesign. The original designs worked great, but research showed that we should focus the app more on group messaging and communication instead of a discovery feed. By removing the unnecessary elements of notifications and feed, we were able to simplify the app to its core. Students want to talk in groups. Whether that be about design, the upcoming spanish assignment, or the next psychology club meeting — it can now be done in Backpack.